The country’s leading music channel, MYX, welcomed two young ladies –Kaye Reyes and Samm Alvero– as its new VJs after they won in the MYX VJ Search 2018, which capped off last Saturday at the Shangri-La Plaza Atrium. 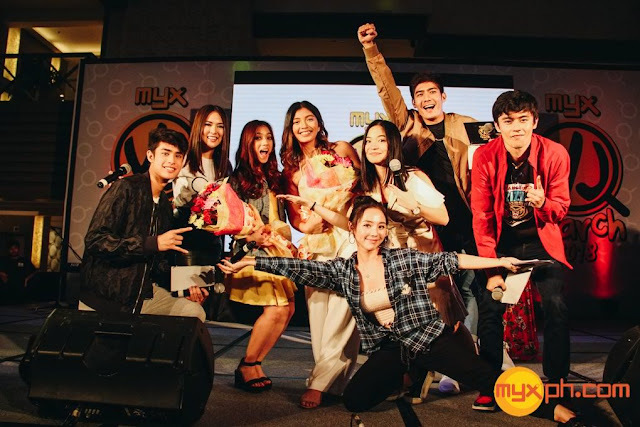 The freshly minted MYX hosts proved the country they are worthy of their VJ titles after acing their hosting, make-up tutorial, and Instagram challenges since the MYX VJ Search began two months ago. Two of Samm’s dreams commenced in one day. Despite crying in confusion for five days, the 21-year-old chose to attend the VJ Search finals rather than her college graduation. “You miss 100% of the chances you don’t take, and I’m so happy I took this shot. I took this risk, and I’m here. I can’t believe won, so I have a lot of emotions right now,” expressed the Ateneo graduate. Recently turned 19-year-old Kaye shared that she had doubts of winning because of her age, and that she was tossing and turning the night before the finals. “I thought to myself, ‘the Lord put me here.’ There’s a reason why I was put here with everyone else,” said the Adamson student. The two lovely ladies received a six-month contract with MYX, and were crowned as new ambassadors of Australian beauty brand BYS. VJ Kaye also bagged a special prize for winning the competition’s BYS Makeup Challenge. 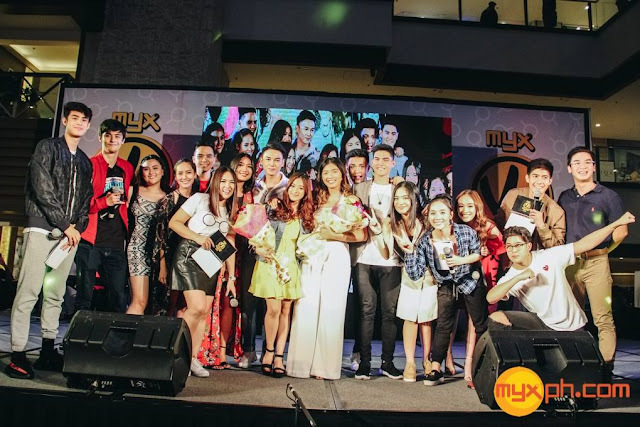 VJs Ai dela Cruz, Donny Pangilinan, Robi Domingo, Sharlene San Pedro, Sunny Kim, and Turs Daza hosted the event as they warmly welcomed the newest members of the MYX Squad. Rising band Agsunta, “ASAP” Jambayan artist Migz Haleco, and budding singer Leila Alcasid were also in attendance as they performed their songs “Di Ba Halata,” “’Pag ika’y Nagmahal,” and “Completely In Love,” respectively. Catch VJ Kaye and VJ Samm on your favorite MYX shows soon. Watch MYX on SKYcable channel 23 and SKYdirect channel 37. For updates, follow @abscbnpr on Facebook, Twitter, and Instagram or visit www.abscbnpr.com.